Micromax Canvas Spark Q380 is the latest affordable 3G smartphone from the company. Talking about the specs, the MMX Canvas Spark Q380 gets the strength from Quad-core CPU cloaked at 1.3GHz and 1 GB of RAM. It is accomplished with 8 MP rear shooter and 2Megapixel front selfie cam. It runs on Android v5.0 Lollipop. To make the phone alive there is 2000 mAh battery offering Up to 7h (3G) talktime. The Q380 comes with 8 GB of internal memory. Micromax Canvas Spark Q380 features 4.7inch IPS display offering 540 x 960 pixels resolution and there is Corning Gorilla Glass 3 protection on the top of it. It is DUAL SIM smartphone with 3 connectivity . There is Mali-400 GPU for better performance . It measures about 8.5 mm in terms of thickness and weighs 134 grams. It will compete with ZTE Blade Qlux 4G, Xiaomi Redmi 1s, YU Yunique, Swipe Elite 2, Infocus M2 4G, Micromax Canvas Xpress 4G Q413 and Samsung Galaxy J1. 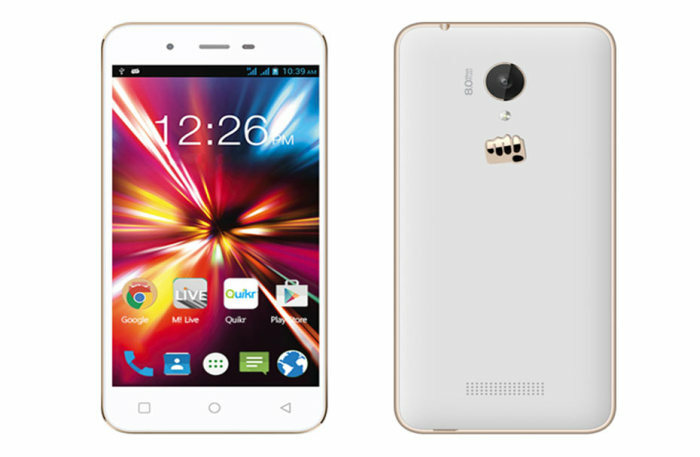 The Micromax Canvas Spark Q380 will be available at price of RS 4999. It will be available in White/Gold and Grey/Silver colors. It can be purchased from Snapdeal. He is expert in tech reviews, unboxing cool gadgets, DIY, software, Tips & tricks, User Interface optimization, SEO and web development. Connect him via Google+ and Facebook.